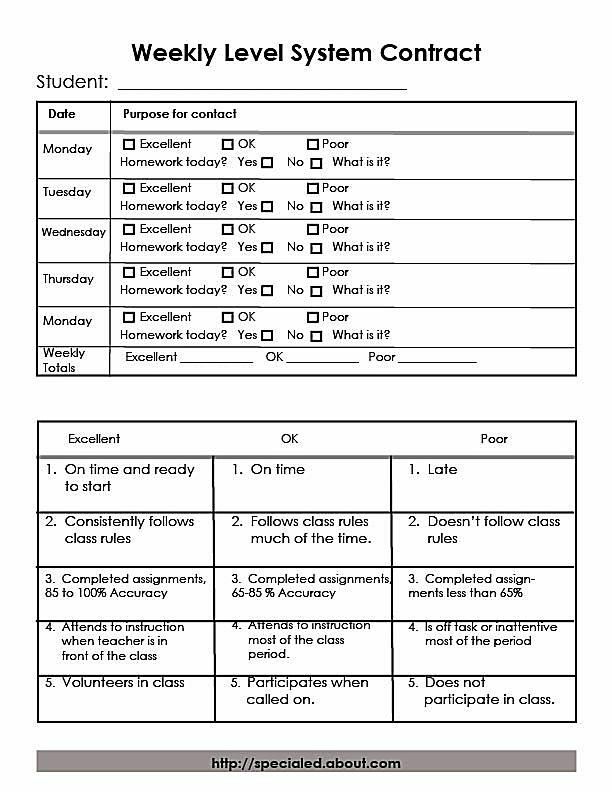 A level system for behavior contract is in many ways a sophisticated system for improving and shaping students long term behavior. By establishing levels, much as in a rubric for academic performance, you can shape student's behavior by slowly increasing the expectations for meeting each level. This system is particularly good for secondary students, and can help a student in a single class or across classes. Begin by identifying which behaviors will "pull the cart" of the student's behavior. In other words if you successfully identify behaviors that are pivotal for improving a students over all performance and behavior in your class, focus on them. Behaviors need to be explicit and measurable, although data collection is not your primary focus. Still, avoid general, subjective terms like "respectful," or "attitude." Focus on the behaviors that will eliminate the "attitude." Instead of "shows respect for peers" you need to identify the behavior as "Waits to be called on" or "Waits rather than interrupts peers." You cannot tell your students what to feel. You can tell them what their behavior should look like. Choose 4 or 5 behaviors that will define the levels: i.e. Some people would include "listening" but I find that some secondary students who appear to be ignoring the teacher may actually be listening. You can ask for certain kinds of academic behavior that show whether a student has been attending or not. You cannot actually "see" students listening. Describe what is excellent, good, or poor punctuality. Excellent may be "on time and ready to learn." Good might be "on time." And poor would be "late" or "tardy." Positive consequences can be given weekly or daily, depending on the age and maturity of the student or the intensity or inappropriateness of the behavior. For students with grossly inappropriate behavior , or who have a long way to go, you may want to reward performance daily. 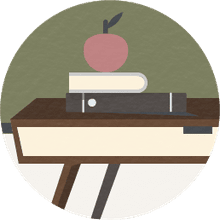 As a student participates in a behavior support program, over time, you want to "thin" reinforcement as well as spread it out so that students learn eventually to evaluate their own behavior and reward themselves for appropriate behavior. Consequences can be positive (a reward) or negative (loss of privileges) depending on the number of "excellents" or the number of "poors" each student earns. Eventually, your goal is for students to learn to self-evaluate. You want to "Fade" from supporting the student's behavior. You want to achieve these by. Increasing the time you evaluate, from daily to weekly. Raise the level of behavior you want the student to exhibit for each behavior (especially academic behavior. A Contract: Your contract needs to lay out the "who, what, where, when, how" of your system. Who: The students who will perform the behavior, the parent(s) who will reinforce the appropriate behavior and the teacher(s) who will evaluate the student's behavior. What: Behavior you want to see increase. Remember, keep it positive. When: Daily? Each period? Weekly? Remember to make it often enough to quickly increase the behavior, but understand that you will eventually be "thinning" reinforcement by spreading the incidence of reinforcement over longer intervals. How: Who is the evaluator? Will you give the student input on evaluation, or will it all be on you? A contract for a single class with a key. A blank contract for a single class. A week for a self contained program. A week for multiple classes. What Is a Behavior Contract and How Does It Work? Do You Know How to Support an Impulsive Student?